The drive to promote Sweden is being given a new and extended dimension in the form of cinema films specially packaged for presentation, discussion and marketing via Swedish embassies and consulates the world over. Swedish cinema often leaves a strong impression of our country, in many different ways, and has long been a much appreciated part of the relation-building process between Sweden and other countries. 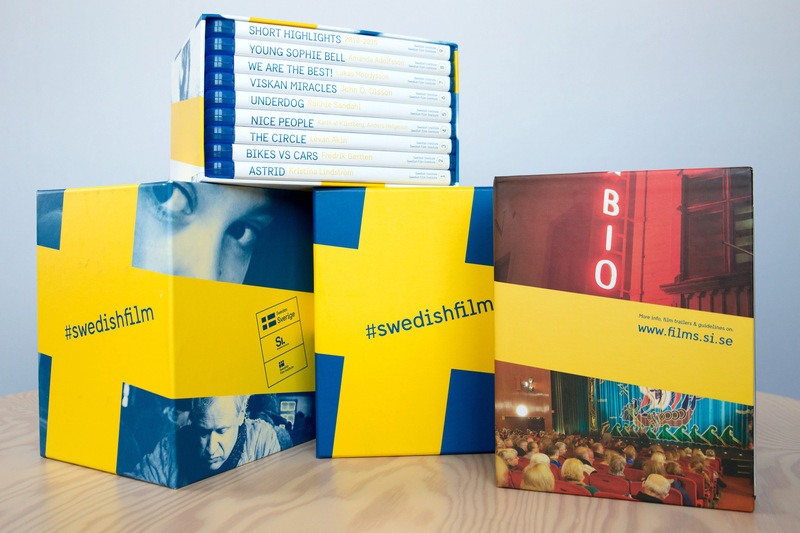 The film package contains a high-quality selection of up to 20 or so current Swedish feature films, short films and documentaries, gathered together with a uniform graphic profile and accompanying information matter. The package is being distributed to about a hundred Swedish embassies and consulates, and will provide a basis for non-commercial film screenings in contexts both large and small – often at local film festivals and at events organised at universities and cultural institutions. If you have questions about these screenings, please contact your local embassy/consulate. The overarching aim is to communicate images of Sweden and to increase both knowledge about Swedish cinema and its presence elsewhere. This promotion package will also offer Swedish cinema greater exposure abroad than when individual films are launched at film festivals and fairs etc. The screenings are often attended by industry representatives from the films taking part and by other professional media representatives in the country concerned. The Film Box is augmented by digital tools for use in planning, marketing and following up screenings. A vital feature of this promotional activity is the fact that the films included in the box have been translated and subtitled in the major global languages so as to reach non-English-speaking audiences as well. The subtitle files will be freely available for the various producers involved to use as they see fit.